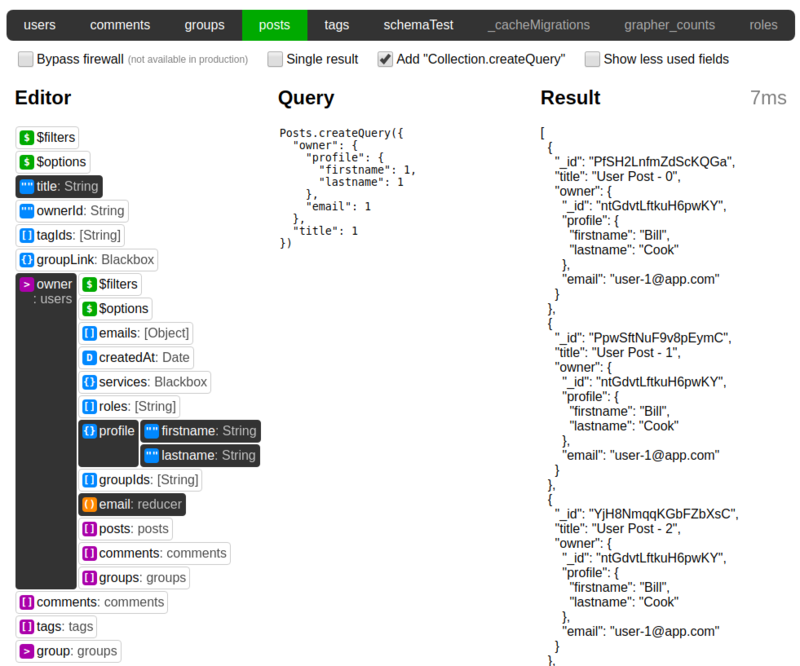 This package gives you an easy overview of all your Grapher links and Collection2 schemas, and lets you create queries by simply clicking on fields/links, with live updating results. It’s available for both Vue and React. This looks awesome. I’m planning to go all in swapping to Grapher in the near future!